1.History and celebration of the Vietnamese Mid-Autumn Festival. The Mid-Autumn Festival which is knowns as “Tet Trung Thu” in Vietnam is one of the biggest holidays in our country and it traditionally held on the 15th day of the 8th Lunar Month. This year, the date of the Mid-Autumn Festival occurs on September 27. The Mid-Autumn Festival is one of the two most popular festivals in Vietnam, and has been significant to Vietnamese families for many years. 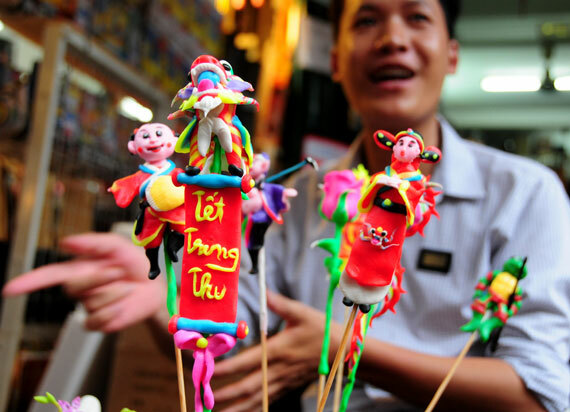 Unlike Chinese legend, the origin of Mid-Autumn Festival in Vietnam is totally different. It is said that originally, the Mid-Autumn Festival is a chance for parents to make up for lost time with their children after harvest season which was usually done by September, (Mid August in the Lunar calendar) and the parents were anxious to spend time with their children and do something special with them, as well as celebrate the harvest, after spending much time working hard and away from the family. It was held under the full moon, which represents fullness and prosperity of life. Tet Trung Thu in Vietnam is very much like a combination of our Halloween and Thanksgiving in Westerner. Children parade on the streets, while singing and carrying colorful lanterns of different sizes. Some of the popular shapes include fishes, stars, butterflies and a lantern that spins when a candle is inserted, representing the earth circling the sun. 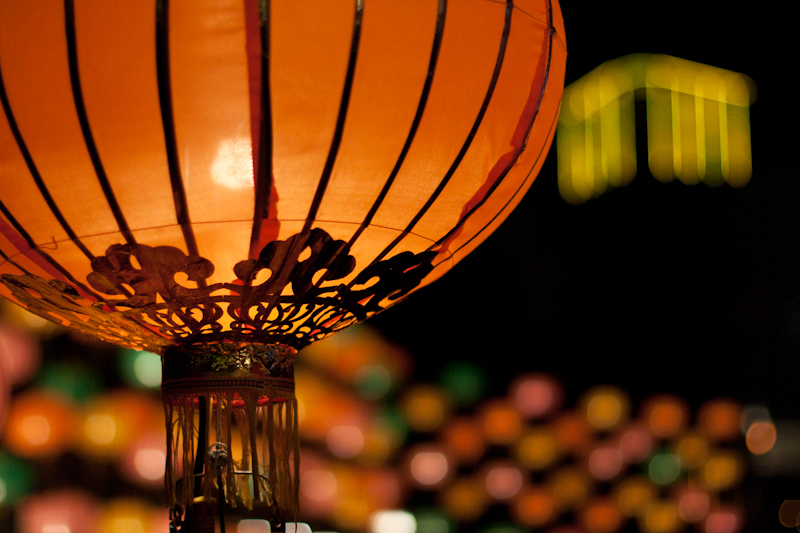 How Do Vietnamese Celebrate the Mid-Autumn Festival? 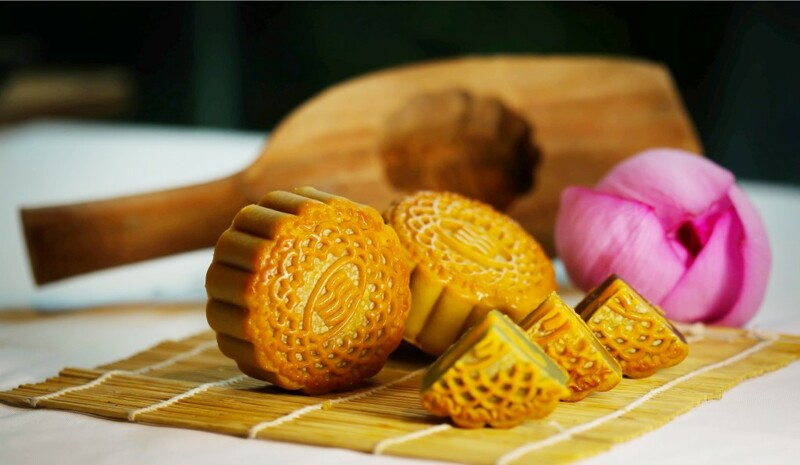 Eating mooncake with family is a traditional thing in Vietnamese Mid-autumn Festival. 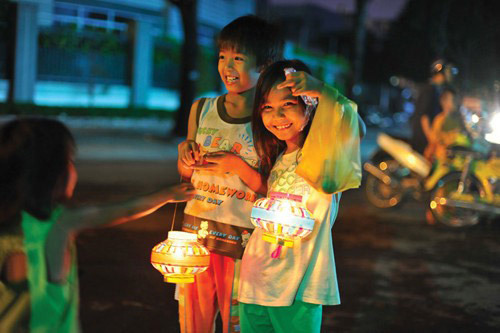 Carrying Carp-Shaped Lanterns is an important custom of the Mid-Autumn festival in Vietnam. 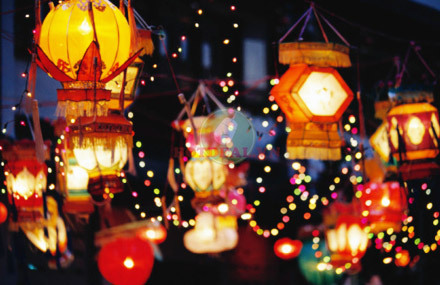 It’s also a tradition for the Vietnamese to light lanterns during the Mid-Autumn night. A legend went that a carp spirit once killed many during Mid-Autumn night, so that no household dared go outside that night. Later, a wise man thought of an idea: he made a carp-shaped lantern with a stick in its belly, and then advised people to walk at night with a carp lantern in hand. The carp spirit was terrified by the light from the carp-shaped lanterns, and dared not go out to kill at Mid-Autumn since then. Now children hold various kinds of paper lanterns and play in the moonlight, while eating mooncakes during the evening of Mid-Autumn Day. Usually a worshiping platform is set up in the yard during Mid-Autumn night, on which mooncakes, fruits, and snacks are laid. Later family members sit together to eat the food while appreciating the moon. The platform is not taken down until midnight, when the food is completely eaten up. Most families also set up a special platform for children, so that they can enjoy food anytime in the evening. 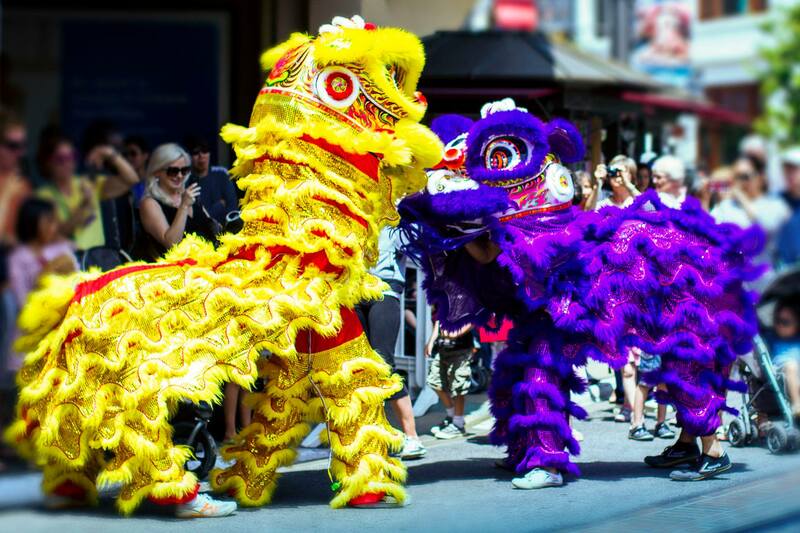 In addition, a variety of interesting literary and art activities are also held throughout Vietnam during the Mid-Autumn Festival, as well as offering sacrifices to dragons, dragon boat races, lion dances, and lantern fairs, adding much luster to the festival. Today, the Mid-Autumn Festival is much more like the second children day. The holiday is the most wanted for children to carrying their lantern and follow the lion danes groups. Mid-Autumn – 2nd Children’s day. Nowadays, parents dont spending time to help their children make a lantern since they can buy it at the stores or at lantern streets. But what always remain is showing our love for our children and teaching of Vietnam’s love for their children. That’s what stays with us until now.